The parcel select service, which is also used by United Parcel Service and FedEx, is the last and typically the most expensive step in the shipping process that gets the packages to customers’ doorsteps. The USPS proposed a 9.3 percent increase on this service for packages weighing over one pound and a 12.3 percent increase on lighter packages. 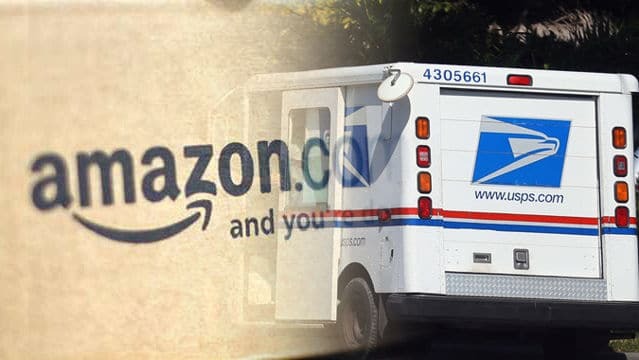 Trump issued an executive order in April to set up a task force to examine the USPS, claiming that it was on an “unsustainable financial path.” He’s also tweeted that the USPS is Amazon’s “delivery boy” and doesn’t make money from Amazon’s business. The price increases reflect the best judgment of the Postal Service Governors, who are seeking to establish new rates that will keep the Postal Service competitive, while also providing the Postal Service with much needed revenue,” the spokesperson said. This entry was posted in General Union Business, Postal Reform and Politics and tagged amazon shipping agreement, last mile delivery network, President Donald J. Trump, USPS price changes. Bookmark the permalink.